Deerfield Associates Executive Search, Inc. has been retained by The Taft School, located in Watertown, Connecticut, to conduct a national search for a Director of Development. Taft School seeks an experienced, dynamic, energetic, and collaborative Director of Development to manage and oversee all aspects of its fundraising activities and constituent relations. This professional will report directly to the Headmaster and work closely with the Board of Trustees, alumni, parents, faculty, and administration. The Director of Development will be responsible for planning, organizing, leading, and evaluating all functions of development and alumni relations working in concert with Communication & Marketing Office. The Taft School Director of Development will carry the responsibilities typical of a prestigious secondary private school. This high visibility opportunity is available in July 2019. 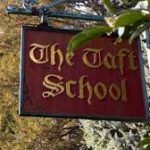 The Taft School is a private, coeducational grade 9-12 day and boarding school located in Watertown, CT. Founded in Pelham Manor, NY in 1890 by Horace Dutton Taft, the brother of the president, the school was relocated from a single residential home to a former hotel in Watertown in 1893. Over the ensuing century, the school has grown in every way: from a handful of students and faculty in a one building campus to an internationally recognized school set on a beautiful 220-acre campus. The new Director of Development at the Taft School will join a superb institution with many strengths. The primary goal of the new hire is to ensure that the school becomes even stronger, and this means engaging the alumni and raising funds to increase the size of the endowment so that Taft can meet its mission. The School is confident that the challenge can be met. The new Director will enter an Alumni and Development Office that does many things well and is poised for the “next level.” Under the leadership and tenure of Chris Latham (who is retiring at the end of this academic year), significant enhancements in the past twelve years have led to an efficient and effective office. There is considerable experience among the 19 FTEs. 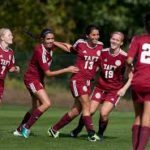 The Director of Development at Taft leads an experienced and dedicated staff which includes Alumni Relations, Major Gifts, Annual Giving, Planned Giving, Parent Relations, Stewardship, Database Management and Research. Of note, the highly successful Parents’ Fund has achieved 90% or higher participation for 26 consecutive years. The Bulletin, has won numerous awards. The office has made significant upgrades in technology use to enhance record keeping, data mining, communication, and web use. Major event planning is a great strength of the office. Many of the staff have been working for Taft for over ten years. This is a highly professional, hard working office with good morale. Taft’s mission is the education of the whole student, and strives to be the finest mid-sized boarding school in the nation. Taft has a national and international reputation for excellence. With only five headmasters in 128 years, it has remained true to its mission and culture while moving forward with advances in education and changes in society. The faculty, its greatest asset, are committed scholars, coaches, directors, and artists—true educators committed to the school. With close to 1700 applicants each year for some 187 places, the student body is diverse and talented, coming from over forty-two nations and thirty-two states. Taft graduates matriculate at many of the finest colleges and universities in the country. The campus is one of the most beautiful of all New England boarding schools. New and old buildings share a common collegiate gothic architecture, the facilities are state-of-the-art, and a commitment to maintenance and capital projects has ensured that it remains in superb condition. The financial underpinnings are extremely positive. Taft has a tradition of fiscal prudence and discipline combined with the willingness to make bold steps forward when necessary. Consequently, budget has been met every year for decades, new programs have been implemented in many areas, and the draw on the endowment has been near 4% annually. In 2018, in recognition of its strong financial profile, the school received a Aa3 rating from Moody’s. The endowment, managed by New Providence Asset Management, stands at approximately $260 million. The Board of Trustees, numbering 30, is active, engaged and supportive; and it has charted the school’s direction through effective strategic planning. The leadership team of the school is experienced and strong. 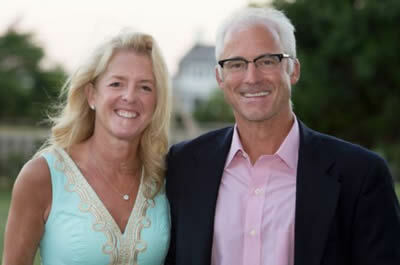 The Headmaster, Willy MacMullen, is a Taft graduate (’78) and was appointed in 2001, after a career that began in 1983. The School’s many leaders are committed, energetic, and effective educators and administrators. Taft’s Annual Fund has enabled the School to maintain a balanced budget for over three decades. In 2018, the Parents’ Fund contributed $1.8 million with participation at 92%, and the Alumni Annual Fund, with a 43% participation rate, totaled $2.1 million. Total combined giving for the Annual Fund exceeded $4.9 million compared to $2.9 million in 2007. Not withstanding Taft’s fundraising successes, the most significant challenge facing the School today is to continue to secure funds for unrestricted endowment as well as a selection of additional targeted capital projects. To achieve this goal, the new Director will spearhead a robust capital funding program. In the prior campaign, prospects had been identified and cultivated over an extended period of time by a Director of Development and Headmaster who had established long standing relationships with the constituents. Former donors and a new generation of prospects, some only recently identified, must be carefully cultivated. However, the Board of Trustees remains very confident that the strength of the school, the depth and breadth of the alumni and parent relationships, and the story it can tell—the importance of its mission, excellence in all areas, and a tradition of prudent fiscal management combined with significant endowment needs to ensure ongoing preeminence—will lead to a successful capital funding effort. 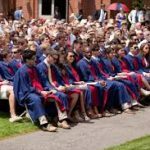 Works with the Headmaster to develop dollar goals and strategies for each giving program, including cultivation strategies for all major gift prospects. Personally manages a select portfolio of major gift prospects. Works closely with the Headmaster in regards to both the planning and strategic direction for any future Capital Campaign for The Taft School. Manages and evaluates programs to secure outright and deferred gifts for annual, major gifts and endowment purposes. Gathers, coordinates, and uses up-to-date information about alumni specific to annual and major gift fundraising initiatives. Works closely with the Board of Trustees and the Development Committee. Works with the Trustee Development Committee in planning annual and restricted fundraising events and campaigns. Sets goals, timelines and monitors progress. Responsible for the strategic involvement of all constituents in the planning and development process designed to increase giving. Organizes a strategic plan to identify, cultivate, solicit and provide stewardship for potential and current donors. Assesses, evaluates, plans, and implements a plan for the ideal Alumni and Development Office, which includes expanding the current office. Provides regular, detailed reports and information to the Headmaster and Board of Trustees to help in decision-making and program evaluation. Serves as the lead member of the Alumni/Development management team. Directs overall office planning and interacts with the School community with a broad understanding of the goals and objectives of the School and the Alumni and Development Office. Leads and directs an Alumni and Development Office of 21. Oversees staff members responsible for annual, major gift, endowment fundraising, alumni and parent programs, donor research and stewardship, gift accounting and records management and communications. Oversees all alumni relations and parent programming, including on-campus events such as reunions and off-campus events such as regional gatherings, dinners, and all other cultivation and fundraising events. Manages overall Alumni and Development Office personnel activities, including the hiring, training, supervision and evaluation of the Development Office staff including helping them successfully meet their responsibilities. Oversees implementation of a plan to identify, recruit, train and reward volunteer leadership forming a cadre of working, giving volunteers. Designs long-term strategic plans for the alumni and parent programs and revisits such plans on an annual basis. Manages and oversees all alumni and development communications. Oversees all advancement-related communications and marketing activities, including print, electronic and video publications. Manages the Alumni and Development Office budget. Serves as a member of The Taft School senior administrative staff. Oversees the Stewardship program, including the design and solicitation and acknowledgement procedures for all endowment and restricted funds, including general endowment, as well as commemorative and memorial donations. A deep, instinctive and nuanced appreciation for the history, mission and culture of Taft. 10+ years of development/advancement experience required, preferably at an independent school or in higher education. An ability and genuine interest to work closely with the Headmaster to reinforce the strong commitment of the School it its many loyal constituencies. Knowledge and experience in alumni and development work preferably in education including successful major gift, annual giving and planned giving solicitation for alumni, parents and friends. Ability to interact effectively and earn the respect of all the constituencies of the School community; the Headmaster, the administration, staff, faculty, the Board of Trustees, alumni, parents, and friends of the School. Knowledge of how to effectively market and communicate the values and mission of the School both internally and externally. A vision and interest in being involved in the strategic planning process. Demonstrated superior managerial and leadership experience and skills. Ability to oversee the identification, cultivation and securing of major gift and annual fund leadership prospects. Knowledge and experience in prospect tracking, stewardship and reporting procedures and all aspects of annual giving programs. Experience in organizing and conducting a Capital Campaign required. A high level of integrity, honesty, and a strong work ethic. Interest in and willingness to travel. A strong commitment to a co-educational independent boarding school education. Experience in managing volunteers, including members of governing boards. Ability and interest in hiring, managing, developing and mentoring staff. Bachelor’s degree required. A Master’s degree in a related field preferred. 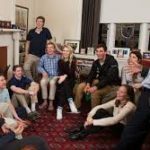 In February 2001, the Board of Trustees appointed its first Taft-educated headmaster: William R. MacMullen, Class of 1978. MacMullen, only Taft’s fifth headmaster in its more than 125-year history, earned his bachelor’s degree from Yale and his master’s from Middlebury. He returned to Taft in 1983 to teach English, and at the time of his appointment as headmaster had served as dean of faculty, dean of academic affairs, a college counselor, a class dean and boys’ varsity soccer coach. His wife, Pam, is also an English teacher, dean, and coach at Taft. “Mr. and Mrs. Mac,” as students affectionately know them, have two sons who are both Taft alumni. Under his leadership, the school has added several historic Watertown buildings to campus, including Walker Hall, Woodward Chapel, Hillman House (59 North Street), and Baldwin School. Major renovation projects have dotted the campus, including the new Moorhead Academic Center, the Martin Health Center, Bingham Auditorium, and the installation of an artificial turf athletic field. Perhaps the most significant change, however, has been a renovation of Horace Dutton Taft Hall that included the expansion of the dining halls and restoration of the founder’s residence into the Moorhead Wing. Designed by the Gund Partnership of Cambridge, Massachusetts, the wing includes Laube, Prentice, and East dining halls, as well as the Mortara Academic Wing. Headmaster MacMullen also included the creation of the Global Studies Department, the expansion of the office of Multicultural Affairs and Education, a steady increase in financial aid, as well as increased diversity in both our faculty and student body. The Director of Development position at Taft offers an exciting and supportive work environment, a competitive salary and benefit package which includes medical and dental plans, a pension plan, tuition remission, housing and four weeks of paid vacation. Taft School is an Equal Opportunity Employer. Doug Cooney, Executive Search Consultant, Deerfield Associates Executive Search, Inc.